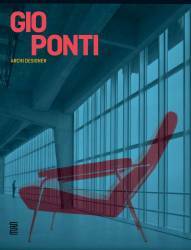 A detailed look into the life and work of Italian architect and designer Gio Ponti who revolutionized postwar architecture and design. Highlights many aspects of his work, and his method of giving equal attention and applying the same innovative design thinking to spoon and skyscraper alike. 312 pp. Olivier Gabet, Salvatore Licitra, Fulvio Irace, Ugo La Pietra, Sophie Bouilhet-Dumas.